Social Plugins are a great way to promote your app and share the outcomes of using the app with other people. However, easy as it sounds, there are a few things that need to be kept in mind by developers when they face business requirements that need social plugins to be used. A lot of the social plugin providers keep updating their SDKs and with each update there is something that gets deprecated, modified or added. Based on the business requirements of the app and keeping in mind validity for the future, developers must identify the suitable SDK that can be used, its limitations and accordingly plan the implementation. Social plugins let you do a number of things – share on your wall/timeline, invite others to use the app, reach out to specific friends on social networks, take actions such as a ‘like’ or comment etc. Based on what the context of usage of the app and the functionality in question, the right actions must be selected that will help achieve the business requirements in the best way. Most social plugin providers give concise and helpful documentation that will easily help you learn about the basic provisions of the SDK and get started with development and integration process. There are also links provided for those who seeks more details about a specific feature. However, a lot of times, people may tend to ignore documentation and end up discovering certain tenets at a later point in the development cycle. It would be best to spend some time with the documentation before integrating the SDKs so as to avoid unforeseen circumstances. Every app is unique and you might be in a situation where you need to implement some custom behavior with a social plugin. This is where a lot of developer forums would come in handy where people share their ideas on what they tried, what worked and what did not. Using these forums would save a lot of time in not trying out what someone else already has. As mentioned before, social plugin providers keep updating their SDKs from time to time. As an app developer, you should be well-prepared to brace these changes and quickly upgrade your app to future-proof it against these changes. Especially so, if the social plugin plays an important role in your app’s functionality and you realize the current SDK will not be relevant after a while. It could also be that the newly released SDK has some exciting provisions that could enhance the value of your app – so you should be prepared to upgrade for such reasons as well. 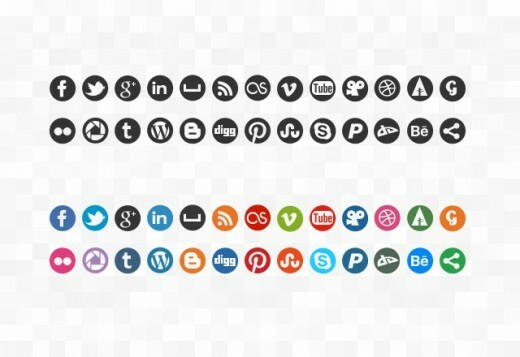 Have you faced any interesting challenges with social plugins? Leave your experiences in the comments section below! Learn how you can build Forms in mobile apps. Download the eBook now!